Fox News reveals that UN agency has been helping North Korea prepare chemical that is banned from shipment to North Korea. 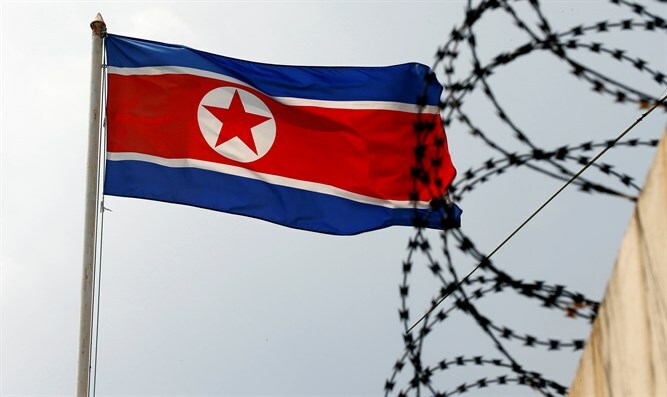 Fox News revealed on Monday that, for more than a year, a United Nations agency in Geneva has been helping North Korea prepare an international patent application for production of sodium cyanide. Sodium cyanide is a chemical used to make the nerve gas Tabun which has been on a list of materials banned from shipment to North Korea by the UN Security Council since 2006. The World Intellectual Property Organization, or WIPO, has made no mention of the application to the Security Council committee monitoring North Korea sanctions, nor to the UN Panel of Experts that reports sanctions violations to the committee, even while concerns about North Korean weapons of mass destruction, and the willingness to use them, have been on a steep upward spiral. Fox News told both UN bodies of the patent application for the first time late last week, after examining the application file on a publicly available WIPO internal website. Information on the website indicates that North Korea started the international patent process on November 1, 2015, about two months before its fourth illegal nuclear test. During all that time, however, the UN’s Panel of Experts on North Korea “has no record of any communication from WIPO to the Committee or the Panel regarding such a serious patent application," said Hugh Griffiths, coordinator of the international UN expert team, told Fox News. The Panel of Experts has now officially “opened an investigation into this matter,” he added. The revelation came hours before the UN Security Council condemned North Korea's recent ballistic missile tests, warning that it was ready to impose further sanctions on the isolated country. In a unanimously agreed upon statement, the 15-member Security Council said it was of vital importance that North Korea show "sincere commitment to denuclearization through concrete action and stressed the importance of working to reduce tensions." "To that end, the Security Council demanded the Democratic People's Republic of Korea conduct no further nuclear and ballistic missile tests," the council said. The statement also condemned an April 28 ballistic missile launch by Pyongyang.